There is growing concern across the globe that automation will lead us to a dystopian future. 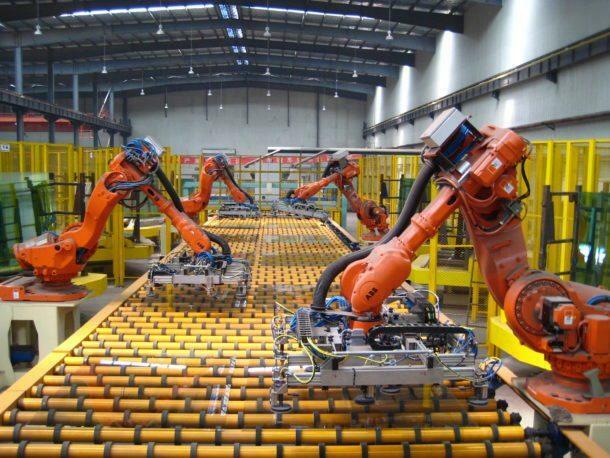 With robots becoming ubiquitous in every aspect of our lives, the marketplace will be filled with cheap goods, but the consuming population can’t acquire them because they don’t have a job. It is a legitimate worry for millions of people, especially when you see the countless videos and news articles about a robot flipping burgers, automated arms packaging goods inside a factory, and grocery stores without cashiers. One of the latest doom-and-gloom alarmists is the Wisconsin chapter of the AFL-CIO, which is griping about self-serve checkouts. Do unions ever do anything productive? Last week, the labor union went to Facebook to demand its followers to “never self checkout.” The organization whined that it doesn’t want to assist corporations in firing employees just so they can boost their bottom lines. It’s not convenient for me to help corporations fire workers so they raise their profits. I stand in line and when the lines back up, the store calls more cashiers to the front. If we keep doing it, they’ll need to hire more people. NEVER SELF CHECKOUT. If life were only that simple. Why hasn’t the group requested similar action for ATMs? If you avoid the bank machine and stand in line waiting for the bank teller, then the financial institution will simply hire more people. This logic, or lack thereof, can be applied to a myriad of other automated services that we enjoy today: ecommerce, digital cameras, search engines, and so much more. But nobody is calling for an end to Google or Bing so the yellow book can be made great again. The AFL-CIO isn’t telling members to ditch mobile devices so telegrams can make a comeback. What the labor group is conveying to the world is that it hates progress. Earlier this year, many Oregonians made headlines because they were complaining that a new law will allow residents in rural communities to pump their own gas. There were multiple grievances, but one of the main objections was the reduction in the number of attendants. In 2016, up in Canada, the CBC spoke to a retiree, Bonnie Banks, who bothers people at self-serve checkouts, asking them if they “like working for Walmart for free.” She was upset that she now pumps her own gas and puts her own trash in the garbage at fast-food restaurants. In the age of automation, there are many occupations and industries that will become obsolete. They will inevitably enter the dust bins of history. The automobile eliminated the horse and buggy industry. The refrigerator rid the world of icemen and milkmen. Advancements in telecommunications abolished telephone operating jobs. Ride-sharing services have brought the government-protected taxi industry to its knees. Are we any worse off than we were before? If you ask the average young person 70 years ago, he or she would admit that they cannot get along without the icebox and local telegram office. If you query the average young person today, he or she will concede they cannot live life without an iPhone or Uber. Times change. New businesses rise. Old industries fall. If you think that businesses are suddenly investing a lot more into automation, you’d be correct. 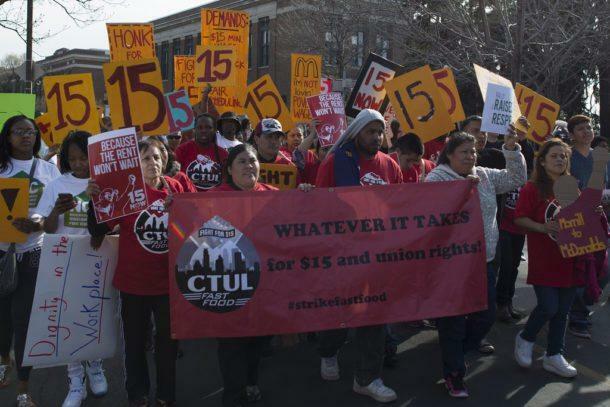 With the Fight for $15 crowd holding demonstrations, staging walkouts, and encouraging lawmakers to raisethe minimum wage, companies are reacting by automating operations. 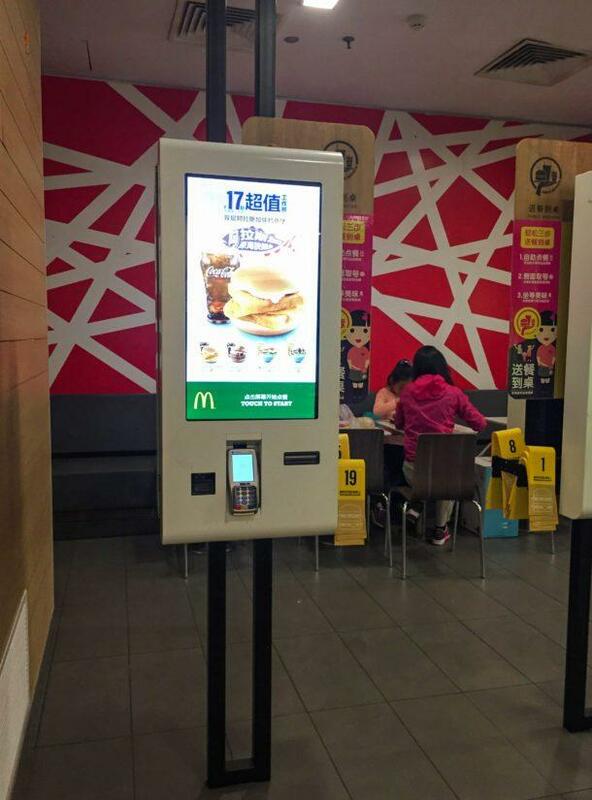 As McDonald’s installs self-serve kiosks or mom-and-pop diners have robots in the kitchen, there is less of a demand for human cashiers and cooks. As Wal-Mart adopts self-serve checkouts, they don’t need too many cashiers on the front lines. And you can blame entities like the AFL-CIO for the rampant rise of automation. It is mostly immigrants, young, unskilled, and uneducated people who hold minimum wage jobs. Without these entry-level positions, thanks to the $15 fight, they can’t enhance their human capital. In today’s world, where socialism is becoming trendy, there is a misconception that the free enterprise system is a zero-sum game — somebody wins, somebody loses. In other words, according to the left, you only become prosperous if you steal from others. Warren Buffett or Jeff Bezos get the entire pie while everyone is left with crumbs. Nonsense. This is hardly the case in the free market. When Microsoft was established, Bill Gates created more pies. When the iPhone was created, Steve Jobs produced more pies. When Karl Benz invented the automobile, he baked pies for the entire world. Enhance their human capital by learning new skills. Fill the demand for labor in other industries. Perform other roles or tasks in the company. This is what tellers have done in the banking sector. Many branches simply transferred tellers into other important roles, such as marketing and investment advising. Ditto for business publications. Thanks to the advent of software that composes articles from news releases or corporate earnings reports, reporters can now spend more of their time on investigative journalism, interviews, and much more. Once the car was prevalent, carriage makers didn’t raise the white flag. They either adapted to the changing conditions or applied their craft to something else. 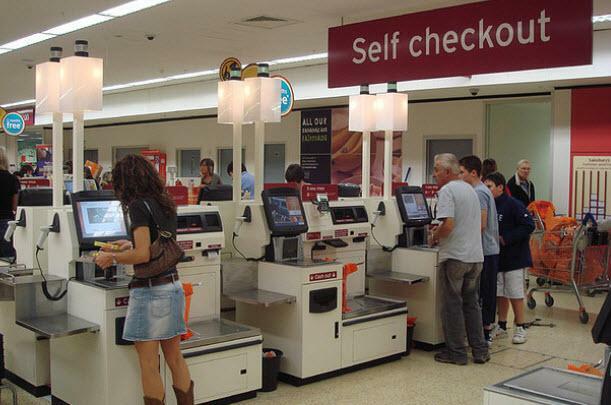 You will always come across people like Bonnie Banks moaning about self-serve checkouts. You can stop these busybodies in their tracks by doing a couple of things: point out their hypocrisy since they likely use ATMs or the computer and provide them with a lesson in Econ 101. The future is now, and we shouldn’t be apprehensive of its arrival. We’re all getting richer and leading happier lives because of technology. Let’s embrace it.